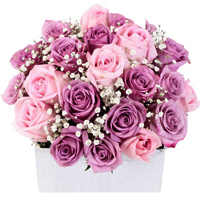 Adorn your relationship with the people close to your heart with this Delicate V-Day Arrangement of 24 Pastel Shade Roses in a Basket and make it more lovely. 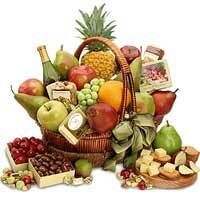 Our basket contains red and green apples, pears, mango, plums, grapes, guavas and among others. 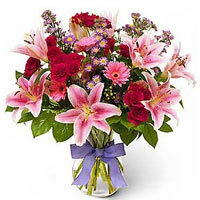 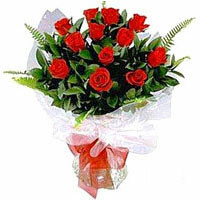 Exclusive 12 Red Roses Bouquet for your loved one. 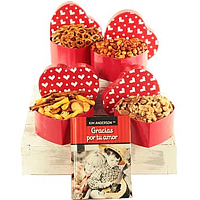 This Unique Mixed Snack Contains of:1 Box of peanuts 250 grs, 1 Box of mixed nuts 200 grs, 1 Box of mixed snaks 200 grs, 1 Box of pretzels 150 grs. 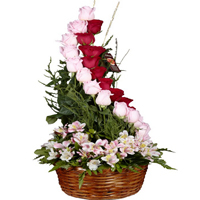 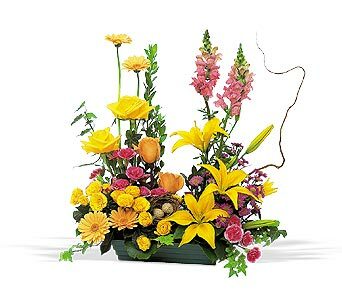 Mexican basket full of roses ands seasonal flowers.